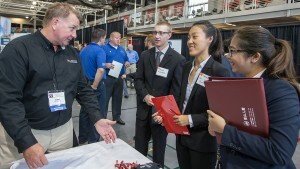 MSOE Career Services is excited to host the first series of Pop-Up Fairs! Pop-Up Fairs are very similar to a career fair, where employers will bring marketing materials and share information about their company and hiring needs. However, it’s more personable, smaller in size, and focuses on a specific industry. This is a great opportunity for Actuarial Science, Business, IT, and Software Engineering folks! Of course, all majors are invited as each company has different hiring needs. Stay tuned for upcoming pop-up fairs! Questions or concerns? Contact or visit the Career Services Office (CC370) at career-services@msoe.edu.